Can something perfect get even better? You betcha! A glaring example is the limited edition of ABSOLUT vodka with the discernible tag Electric which has just sprung into existence. ABSOLUT Electrik continues the renowned tradition of limited editions in conjunction with the latest achievements in design. The current double edition of bottles is available in petrol-blue and silver with a semi-transparent surface making transparent reflections. These two colors epitomize the cobalt-blue shade of the brand ABSOLUT and the electric conductivity of silver. The blend of these two colors embodies the aesthetic touch of the Edition Electrik reminiscent of flickering lights along with pulsing rhythms thus evoking unleashed energy capable of turning any night into an electrifying experience. The new limited edition just like its predecessors brings you the authentic ABSOLUT experience made in Sweden exclusively from natural ingredients which unlike other vodka brands contains no added sugar. It is as impeccably clean and transparent as vodka gets; it does preserve its seamless and soft taste though, with a slight hint of wheat and dried fruits. This vodka is produced in the small town of Ahus in rural Sweden, the birthplace of its founder Lars Olsson just as it was first distilled in 1879 from wheat being grown in close proximity along with crystal clear water hidden deep down in a close-by well. All these pre-requisites guarantee the original, authentic taste ABSOLUT vodka has been known for ages. ABSOLUT vodka has inseparably co-existed with various artists since time immemorial and with the launch of the latest limited edition this time is no different either. You are guaranteed to have a blast at the special ABSOLUT Electrik party experiencing a spectacular lightning show, Faraday cage, artistic light painting and the very best of musicians – the Slovak No.1 DJ B-Complex, a special guest appearing in Slovakia for the first time ever, DJ BODDIKA (NonPlus+) as well as numerous other outstanding artists. A true artistic experience that fully engages all senses – the exact feature that makes ABSOLUT unique. 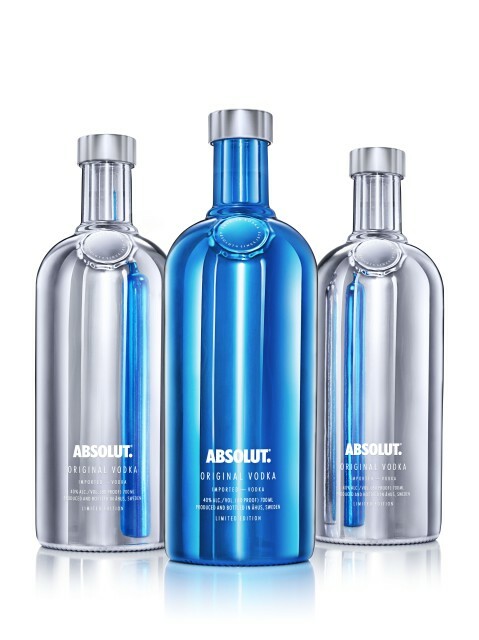 All information regarding the electrifying cobalt-blue and silver limited edition of ABSOLUT Electrik, as well as party events are fully available exclusively on www.transformtoday.sk. Energizing electrification in combination with pulsing energy in ABSOLUTe perfection has arrived in Slovakia. Rest assured, you don’t want to miss out on this.